In order for Fiat Chrysler to bring thousands of jobs to a new proposed assembly plant in Detroit, the automaker says there must first be hundreds of temporary layoffs. In a notification to the state, the company warns it will temporarily lay off 703 employees at the Mack Avenue Engine Complex by summer's end should plans to retool the facility be approved. May 30: 417 people laid off. June 13: 92 people laid off. June 27: 67 people laid off. July 11: 8 people laid off. Aug. 19: 119 people laid off. 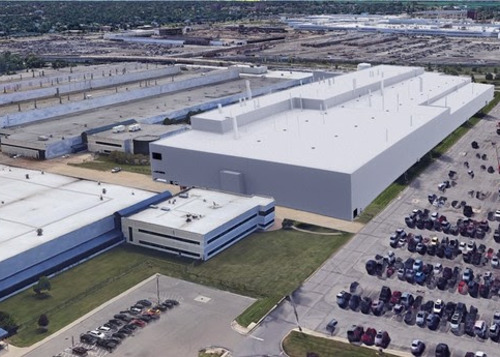 "FCA US anticipates that most, if not all, of the affected employees will have the opportunity to work at another FCA US location during the temporary closing of the plant," said Jason Nault, FCA human resources manager. Fiat Chrysler in late February announced plans to spend $1.6 billion to turn th Mack factory into an assembly plant for Jeeps. The plant would create an estimated 3,850 new jobs. The deal depends on whether the city can assemble the 200 acres of land needed for the project. Fiat Chrysler gave it a 60-day deadline.